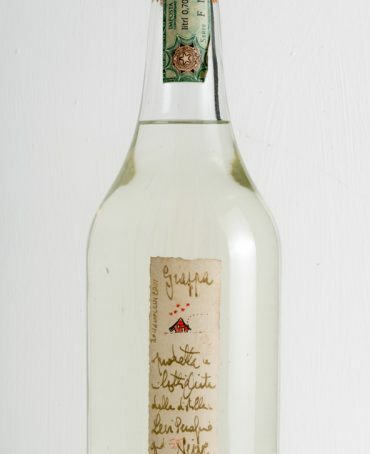 Grappa distilled and bottled by Romano Levi (in his workshop in Neive, near Alba) in 2005, with sealed neck label. 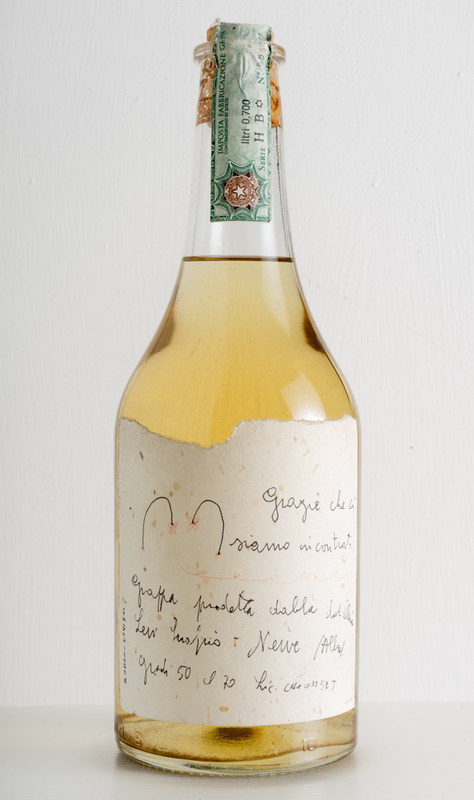 Bottle label hand-written by Romano Levi, with the writing “Grazie che ci siamo incontrati” (thanks we met). 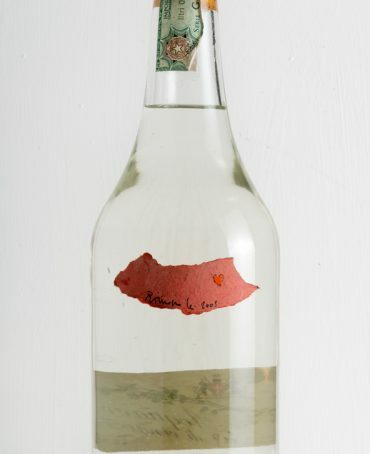 Label: original one of a kind bottle. Designed and hand-written in 2005 by Romano Levi on white paper, bearing two flowers with the stem bowed and the writing “Grazie che ci siamo incontrati” (thanks we met). Below, the writing “Grappa prodotta e imbottigliata dalla distilleria Levi Serafino – Neive (Alba) Gradi 50 cl 70 Lic CNx00052J”. 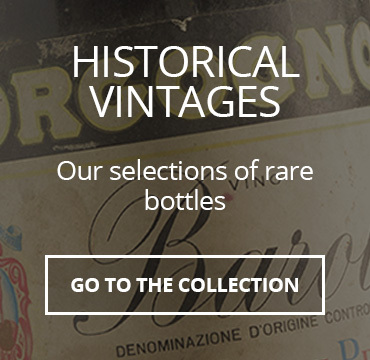 On the left margin, in vertical, signature and date “Romano Levi 2005”. Cap: the paper seal UTIF that wraps the cork vertically is intact and original. 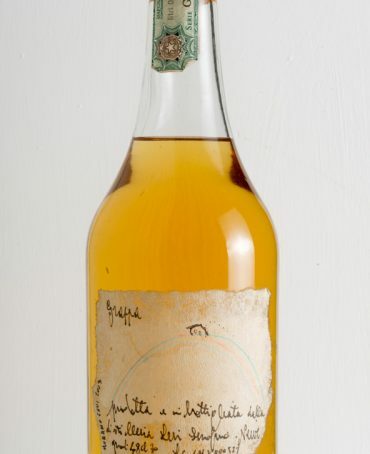 Described by Luigi Veronelli as the ‘Grappaiolo Angelico’ (Angel of Grappa Makers). 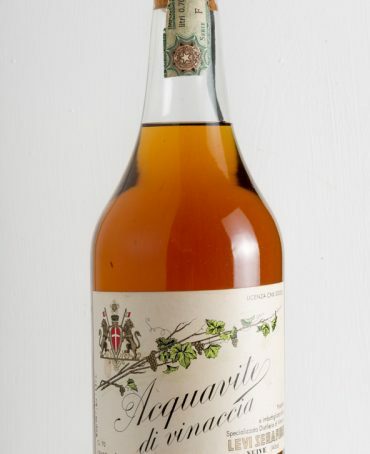 His grappas have been described as unrefined, genuine, strongly tied to peasant traditions, completely devoid of all frills and pretension, with no softening around the edges to please the modern market. 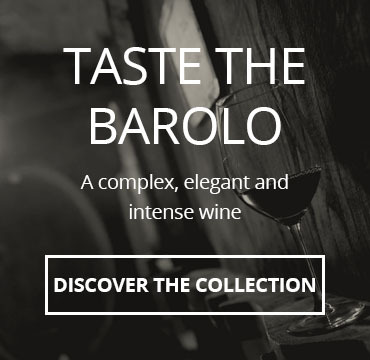 His work as a distiller has been praised by many famous enthusiasts, such as the former German chancellor Helmut Kohl, Cesare Romiti, Marcello Mastroianni, Antonello Venditti, Andrea Bocelli, Roby Facchinetti, Bruno Lauzi, Tino Buazzelli, Nicola Arigliano. 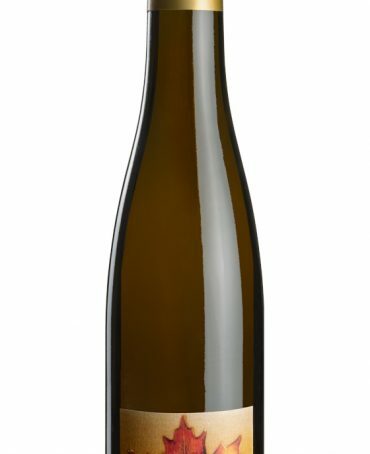 Romano Levi made the last label on the evening of 1 May 2008. 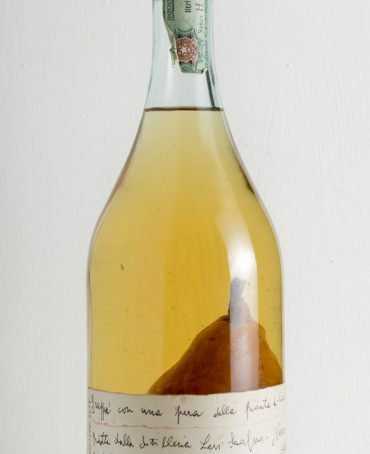 Romano Levi – year 2005 – Grappa containing Whole Conserved Pear – Rarity!